A man walks into a talent agent's office. No, wait, that's not how this one goes; let's start again. A Robotman walks into a murderous family's moving castle. He witnesses mayhem, torture, bloody death, and a hell of a party. So what do you call an act like that? 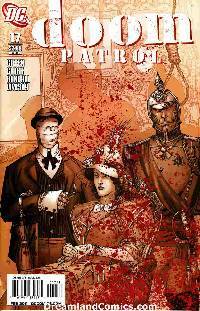 Join us as the Doom Patrol meets?The Aristocrats!